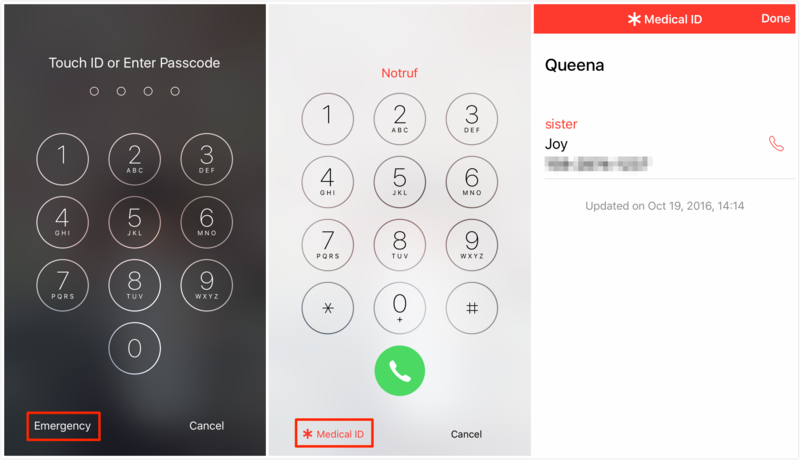 Want to set emergency contacts on iPhone 6/7 lock screen but do not know how? This guide will tell you how to put Medical ID on lock screen with detailed steps. This easy-to-use iOS data manager can help you transfer iPhone content as you like. Remember to give it a try after you have put emergency contacts on iPhone lock screen. Most of us would like to set passcode or Touch ID for iPhone. In this way, others can’t access iPhone data and it helps protect the privacy. However, if your iPhone is lost or you get hurt in accident, how can other people contact your family? The good news is that, Apple lets users to set iPhone emergency contacts. You can edit your Medical ID in Health app and set it appear on lock screen. What’s more, you can also edit your information like medical conditions, allergies, blood type etc. Now we will show you how to set emergency contacts on iPhone 6/7. Step 1. Open Health app > Tap Medical ID on the bottom. Step 2. Tap Edit > add emergency contacts. Select one of the contacts on your contact list. Step 3. Scroll up, there is an option of Show When locked, enable Show When Locked, the emergency contact would be shown on lock screen. Step 1. Wake your iPhone > Go to passcode screen. Step 2. 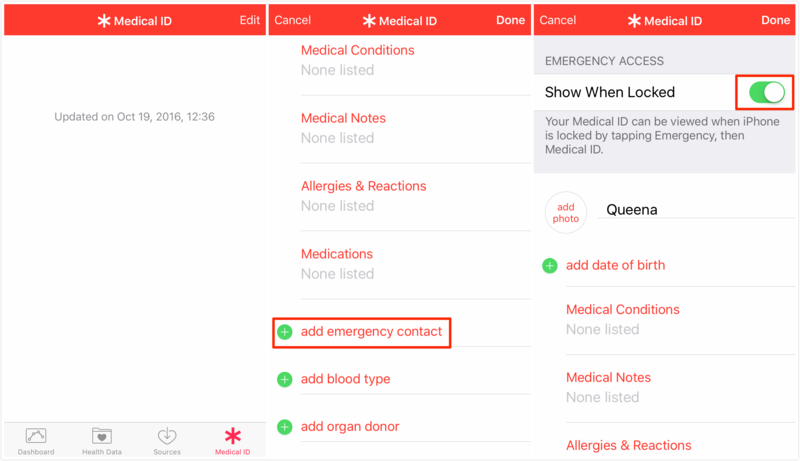 Tap Emergency > Tap Medical ID. Step 3. Your will see your Medical ID then > Tap Done after you have checked it. Hope this guide can help you set emergency contacts on iPhone successfully. If you think this guide is helpful, please share it to help more people.